God gave Jonah pretty clear instructions. He wanted to use Jonah. He called him out for this mission in order to warn Nineveh and give the city's people a chance to turn things around. I mean, Jonah didn’t even stop to ask God to send someone else or at least attempt to give God some reasons why he wasn’t the man from the job. He just looked for the nearest exit and booked it. I don’t know why Jonah ran. Maybe it was fear; fear of what the Ninevites would do to him after delivering God’s warning to them. 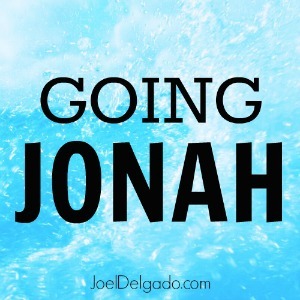 It could have been laziness; Jonah might not have felt like fulfilling this responsibility. Or it could have been indifference; maybe Jonah didn’t like or care enough about Nineveh -- If Nineveh’s going down, so be it, he might have thought. Whatever the reason, Jonah decided he wanted nothing to do with God’s plan for Nineveh and took his chances going on the run. But the reluctant messenger quickly found out that you can’t outrun God. Hopefully for most of us, it won’t take a giant fish or a whale to figure that out. Many times, I’ll go Jonah on life. I’ll do exactly what Jonah tried to do and run from my responsibilities. Instead of doing what I know God has called me to do, or at least trying to find out what to do next, I’ll run as far and as fast as I can. While you and I might not end up inside the belly of a fish, we’ll end up in the belly of something else -- maybe isolation, toxic places or relationships, or even just exhaustion from trying to running for so long with nowhere to run to. When we run away from where God wants us to be, we end up in places we shouldn't be. And, like Jonah, we have two choices when we find ourselves trapped in the belly of a difficult situation: turn around or stay there. “In my distress I called to the Lord, and he answered me. From deep in the realm of the dead I called for help, and you listened to my cry… When my life was ebbing away, I remembered you, Lord, and my prayer rose to you, to your holy temple,” Jonah cried out from inside that fish (Jonah 2:2, 7). And then God commanded the fish to spit Jonah out onto dry land. And Jonah went straight for Nineveh. I think he got the message. 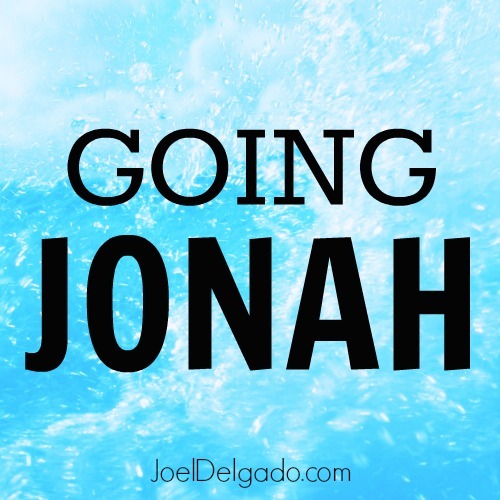 In the belly of his dire situation, Jonah discovered what we all do when we run away: God is always right there. We can’t outrun His love, grace or mercy. We can’t outrun Him. God is not finished with you or me just yet. He never is. He’s ready to take us into His arms again and steer us back on course once we turn back towards Him. Like the father in the prodigal son parable, He’ll meet us where we are and bring us back into the fold. We don’t just run to God; He runs to us, too. Where is your Nineveh? What job or responsibilities are you trying to run away from? Who are the people you’re called to love and serve despite not really feeling like it? What dream or side hustle have you been neglecting in favor of a modern-day Tarshish called “Netflix”? Let’s listen to God the first time around. Let’s do what He says. Let’s go to Nineveh.